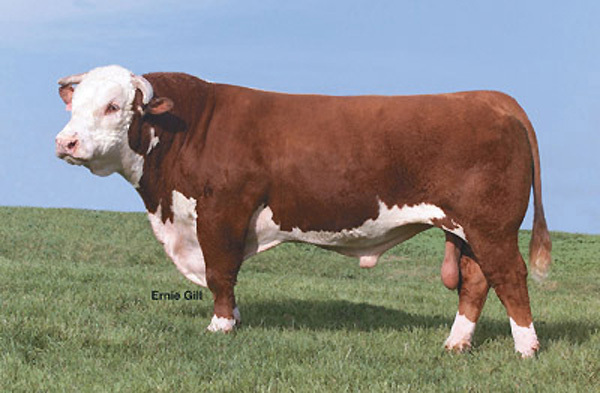 GOLD RUSH is one of the heaviest muscled bulls in the industry today. 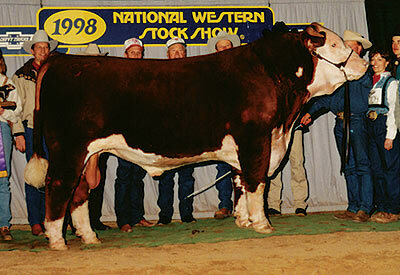 His calves were outstanding and he sired extra muscle and eye appeal. 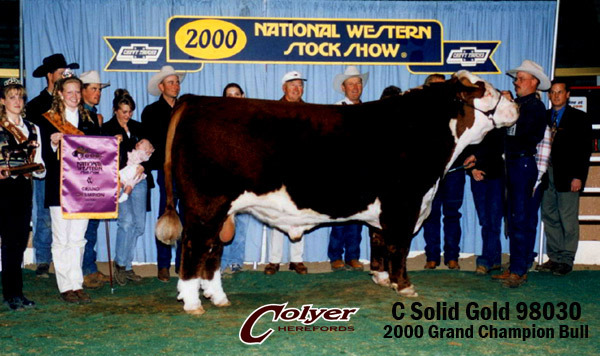 One of his first bull calves was named Grand Champion at Reno and sold for a $25,000 evaluation. A daughter was Reserve Calf Champion that same year and top selling female at $4,600. 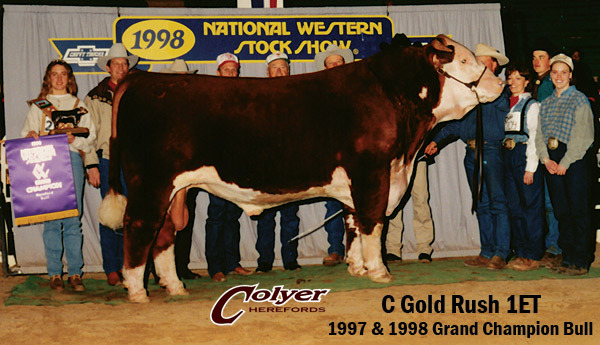 GOLD RUSH is also the sire of the popular PURE GOLD and SOLID GOLD. Full Brother to Pure Gold.